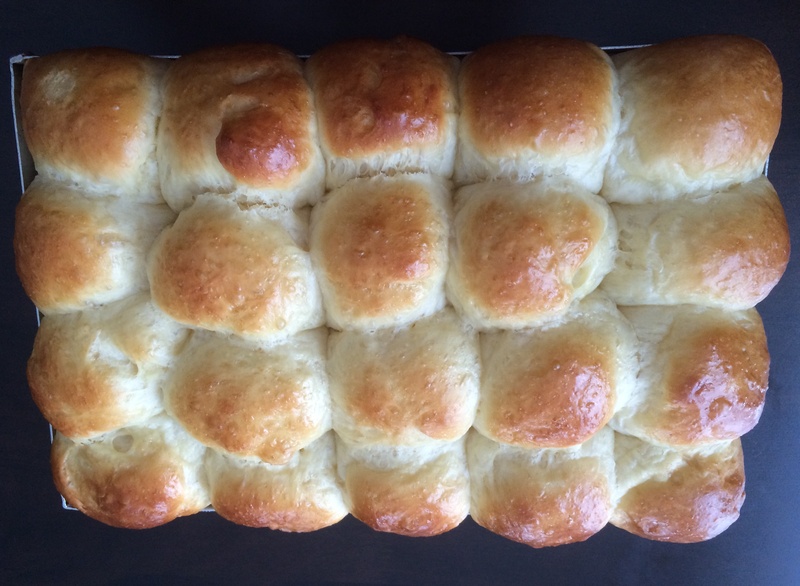 Japanese milk buns also called tangzhong buns or hokkaido buns are the softest buns you can ever make. The texture lies in making ‘tangzhong’- cooked flour- and adding to the dough. These are extremely soft buns!! Perfect for sweet and savoury fillings. 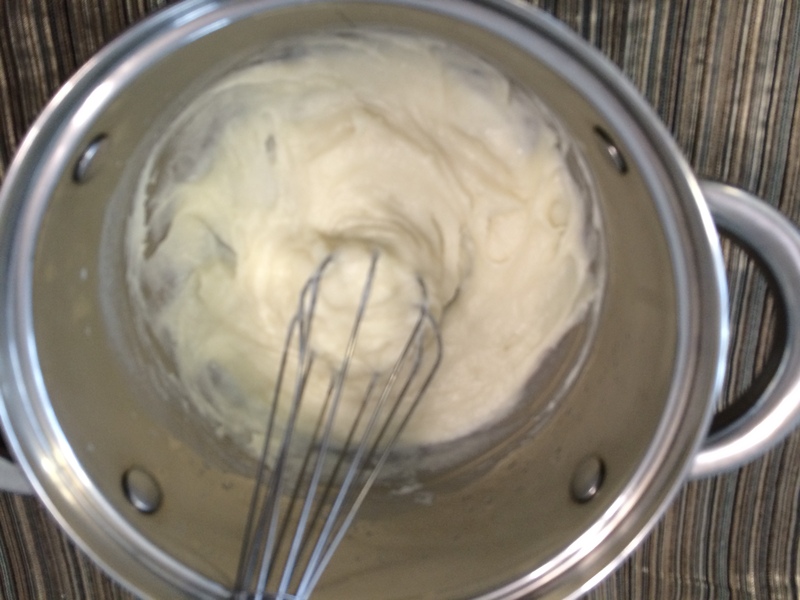 Add all ingredients to a saucepan and whisk well until no lumps remain. Place the pan over medium heat and whisk continuously. The mixture will soon start to thicken and as soon as all mixture is thickened, take off fire. Transfer the tangzhong to a bowl and cover with cling wrap touching the tangzhong. This can be refrigerated, but make sure to bring to room temperature when you make the dough. Use a food processor. Can be done by hand, but the dough is little sticky. Add all dough ingredients including the tangzhong into the food processor bowl or in a large bowl and mix and knead till a smooth dough forms. If its too sticky, add 2 tbsp flour and mix. Don’t add more flour, the dough is supposed to be sticky. Oil a large bowl and place the dough in it. Rub oil on a piece of cling wrap and cover the bowl with it and leave aside in a warm place for 1 hr. The dough will become puffy. Lightly flour your work surface scrape the dough to it. Knead lightly to deflate: 4 or 5 times. Divide the dough into equal parts and shape into a ball. Place in a lightly greased pan with 2 inch distance between each and keep aside for 30-40 mins. During the last 10 mins of rising, preheat the oven to 180 degree Celsius. Beat an egg with 1 tbsp water and brush the surface of the buns carefully. Bake the buns on the lower half shelf for 20-25 mins, the top will become golden brown by now. Take out of oven and let it cool in pan for 10 mins. Transfer to a wire rack and cool completely. I add 2 tbsp milk powder to the ingredients (so total 4 tbsp) and use water instead of milk to make the dough. Don’t add sugar if you plan to use the buns with savoury filling. 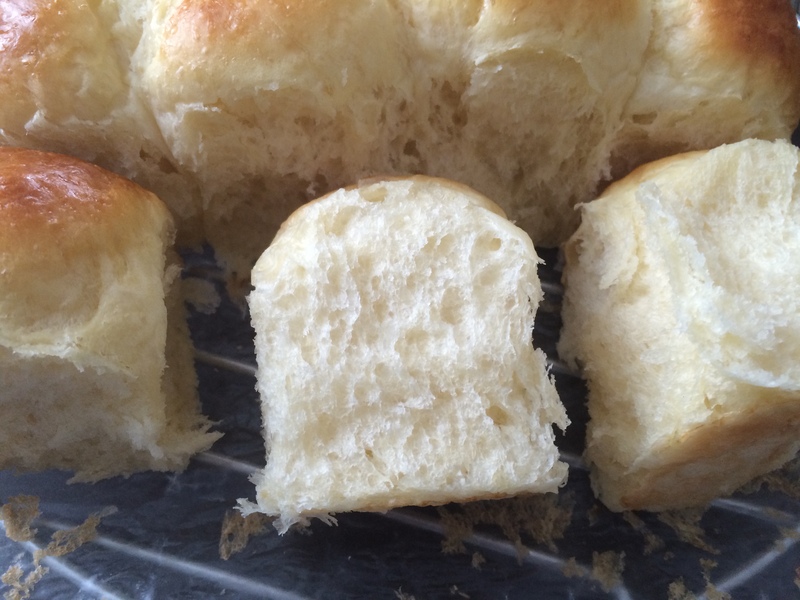 You can rub cold butter on top of buns as soon as you take out to keep the top soft and to get a nice glaze. I use all-purpose flour in all my baking. If the tangzhong changes colour in refrigerator, discard and make fresh batch. 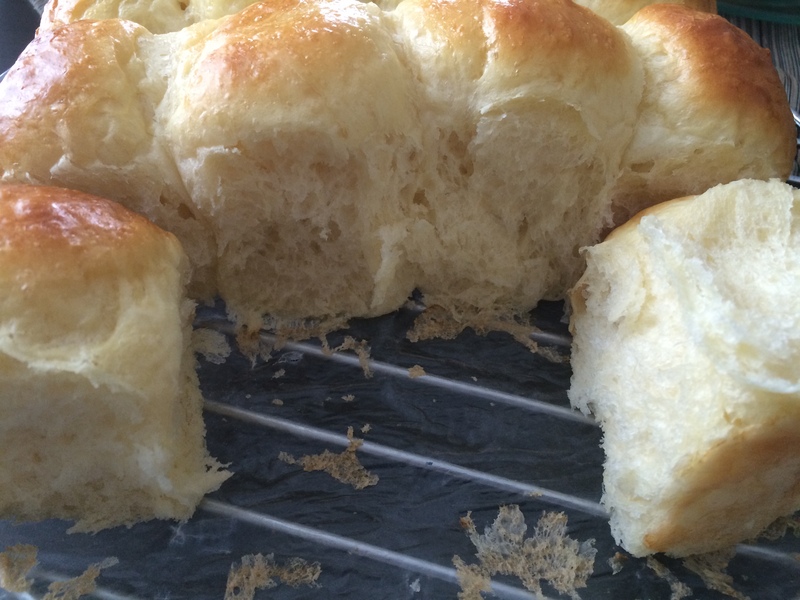 This entry was posted in Bread / Chapathi and tagged asian milk buns, fluffy buns, hokkaido buns, hokkaido milk rolls, japanese milk buns, soft and fluffy buns, softest buns, tangzhong buns by PriyaBaby. Bookmark the permalink.